You’ll travel down beautiful trails on this speedy safari along the coast of the Nicoya Peninsula. 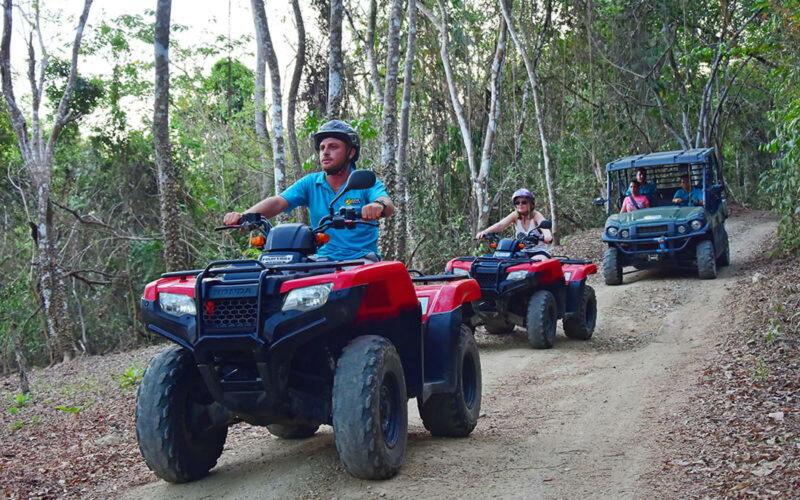 ATVs are easy to handle and offer a fun ride for big kids and adults alike. Your tour begins in the morning. After you get comfortable with the equipment, you’ll take off at a pleasant speed, traveling along muddy rivers and through the jungle. Once you’ve had an exciting ride, you’ll pause to take a dip in a natural swimming hole. Closed toed shoes, comfortable clothes, sunscreen, sunglasses, and a swimsuit.